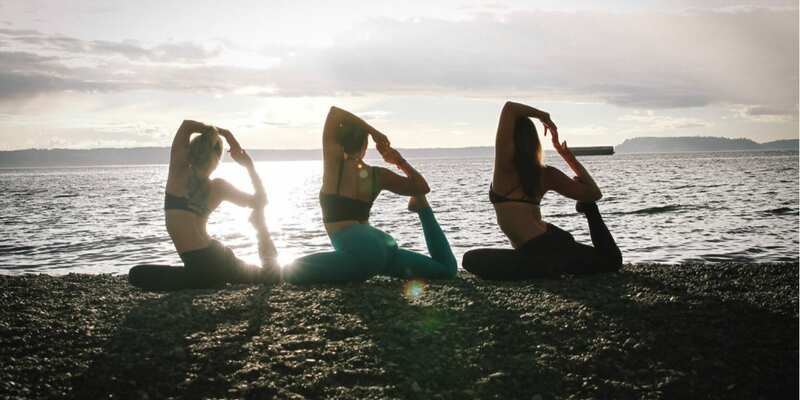 SOLD OUT – Join us on a journey of exploration, mindful movement, self-care and joyful expression through this week-long Yoga and Adventure retreat! Encompass your authentic spirit while whole-heartedly diving into the life your true Spark leads you to. Welcome to Ignite Your Spark, a Yoga and Adventure Retreat. We can’t wait to meet you! We invite you immerse yourself in a place of pure serenity. Where you awaken every morning to the sounds of the jungle and rise to a place of personal evolution in your Yoga and Meditation practice. With the freedom to wander as well as connect with like-minded people, we encourage you to drift into a rhythm that caters to the experience that you are craving. Our most passionate hope is that you end each day with a sense of joy and belonging as you watch the golden sun sink behind the ocean waves. Bodhi Tree Yoga Resort is located in Nosara; a lush and beautiful community in Nicoya, Costa Rica. Nestled among the natural beauty of this coastal surf and yoga hot spot, this World Class Eco Lodge truly has everything you could desire to accommodate for your dream retreat. Part of what makes this area so unique is that it is located a Blue Zone. Blue Zones are rare regions of the world where people live much longer, healthier and happier lives. It’s truly the perfect place to recharge and soak in some adventure and mindful movement. -7-night stay in a room of your choice. All rooms are air-conditioned. -Twice daily creative Yoga practices in dreamy, open-air shalas. -Optional Workshops lead by Haley and Timory. Including Inversions/Arm Balances, Acro Yoga and Advanced Poses. -Candlelit and Sunset Meditation/Yoga Nidra. 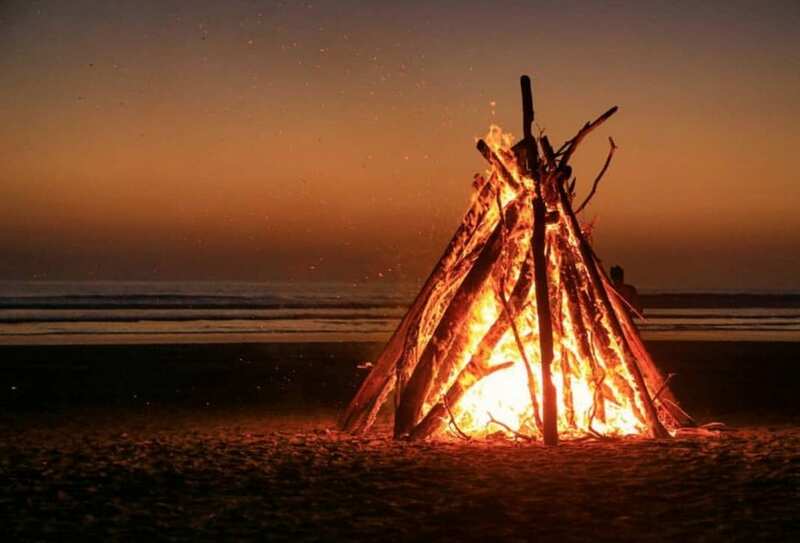 -Beach Bonfire as a celebration on our final night together. -Paddleboard through the mangroves on a guided tour. -Dive into the pristine salt water infinity pool. -Grab a fresh, fruity beverage from the on-site Juice Bar. -Rent an ATV or take a guided tour. It’s a great way to explore nearby towns and beaches. -Take a short walk down to the beautiful, soft-sand beach Guiones. There’s also a free shuttle available to and from the beach. 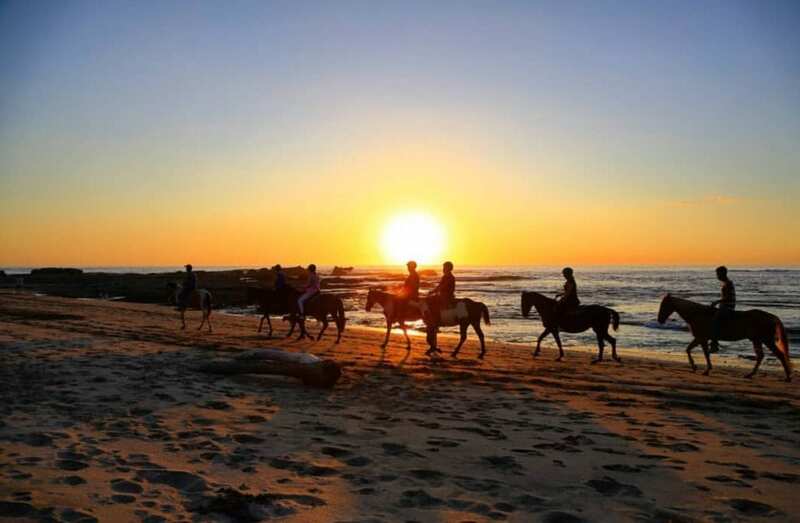 -Go Horseback riding at Sunset. -Take Surf lessons. Playa Guiones is a world-class surfing beach fit for all levels of experience. -Treat yourself at Bodhi Tree’s on-site Spa. -Shop around the boutiques and explore the wide variety of restaurants within walking distance. -Take an extra class. Bodhi Tree offers spin, pilates and even Arial Yoga classes. -Take a nap. Because, well… why not!! You’re on vacation! All rooms are well-lit with soft and comfortable beds, private outdoor showers (so awesome! ), free wifi, and air-conditioning. ALL PRICES ARE PER-PERSON. *A non-refundable deposit of 50% due upon registration. $100 off when paid in full at time of registration! Timory began practicing yoga about 14 years ago in an attempt to skip gym class 😉 Its been a long journey with many phases that eventually lead her to teaching. She has been a full-time yoga instructor for the last 7 years and could not be more excited to host this retreat! Timory believes in a playful, accessible style of yoga with lots of hands on work and a real love for tailoring the practice to meet the needs of the individuals present at the time. Her wisdom in the practice is highly respected in the yoga community, yet she has an approachable demeaner that makes her a unique and fun person to be around! Haley is an adventure enthusiast with creative ambition to share her love of yoga! She has a deep-rooted passion for travel, nature and encompassing soulful connections with all walks of life. Finding her yoga practice and becoming a certified yoga instructor has been one of her most profound life experiences yet! 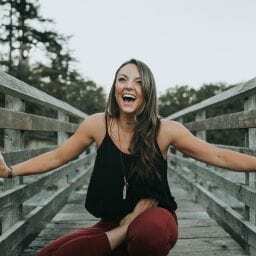 Haley’s energetic teaching style encourages her students to let go of doubt, and let in positive energy, true authenticity and a sense of joyful well-being. She understands the value of finding “roots to rise”, and also the importance of celebrating every step of each unique yoga journey. She is honored to be a part of this retreat and can’t wait to dive into this courageous endeavor with you!